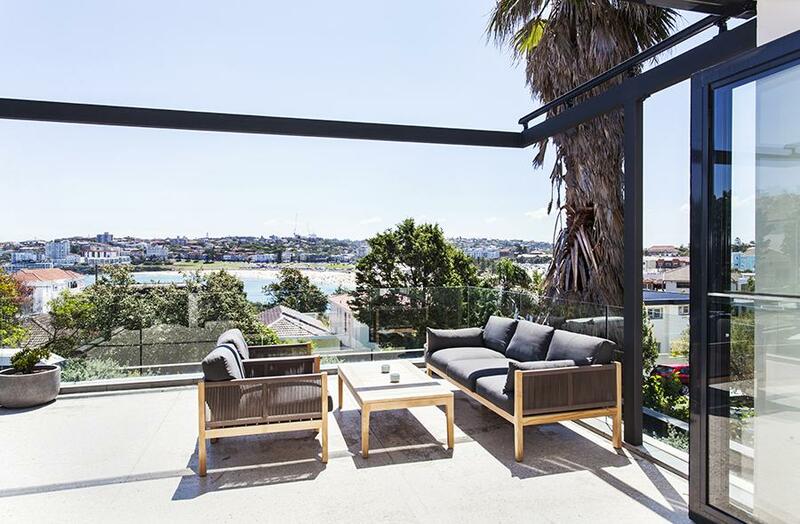 This beautifully designed luxury home boasts magnificent views of Bondi Beach, stunning in-door/outdoor living spaces, pool, water features and gardens. 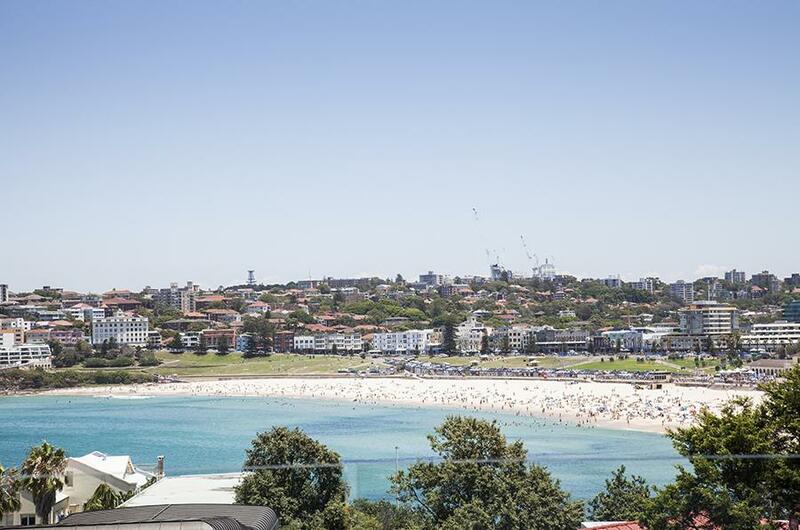 Located on iconic Ben Buckler headland overlooking Bondi, it is a short stroll to the sand and an easy walk to the world-class restaurants, bars and shopping of Bondi. It is the perfect location for a luxurious and memorable beachside holiday. The large open living/dining area is stylishly decorated with comfortable furniture, beautiful artworks and rich soft furnishings. This entire space can be opened to the outdoors – both front and rear. 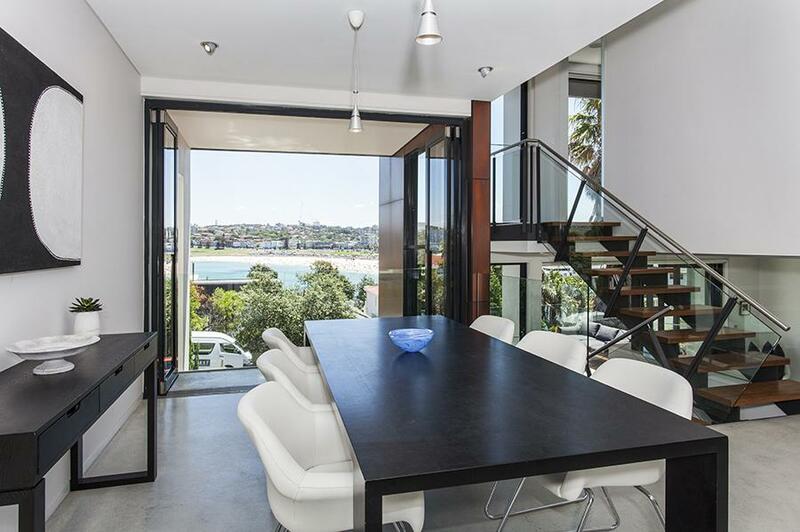 It features a dining area with bi-fold doors that open onto the view, ideal for sunset drinks. The owners did not install air-conditioning due the open air flow and cool sea breezes in the evenings. 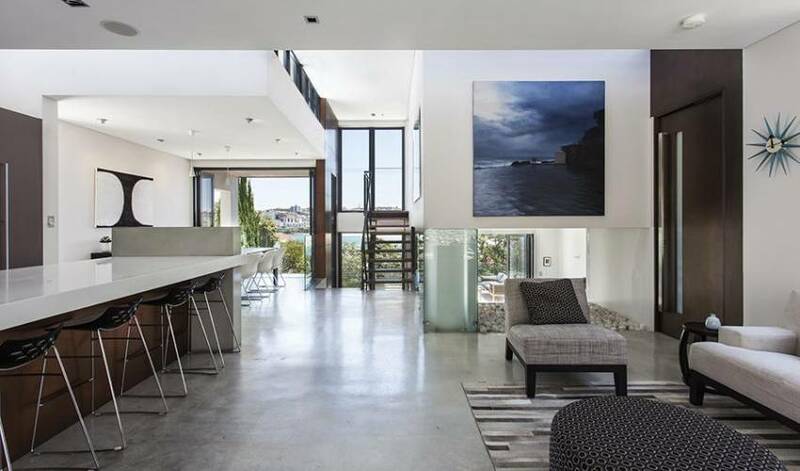 Glass walls provide views from three different living areas, and the lounge area opens directly onto the stunning garden from bi-fold glass doors. 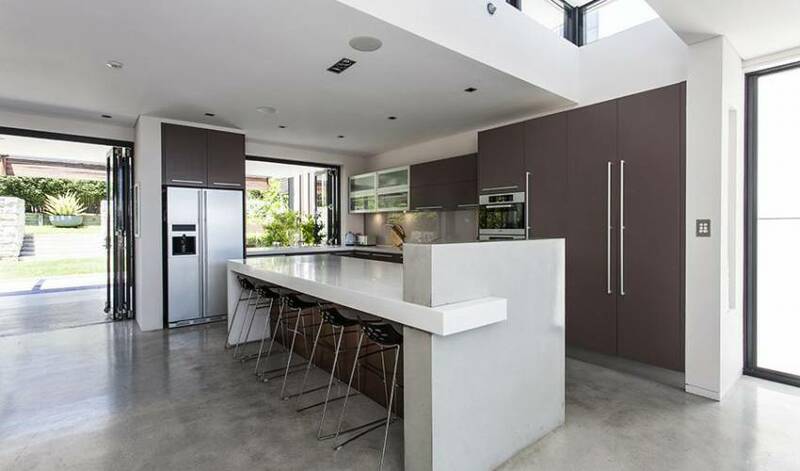 The area also has a powder room featuring concrete and granite finishes, and luxury ceramic fittings. Overlooking the spectacular in-ground pool with sandstone water features and a glass pool wall is a large under-cover outdoor dining setting including a glass-fronted bar fridge and a servery accessed via bi-fold windows linked to the kitchen. A second outdoor dining area inset into the garden, comprises a built-in table and teppanyaki BBQ. 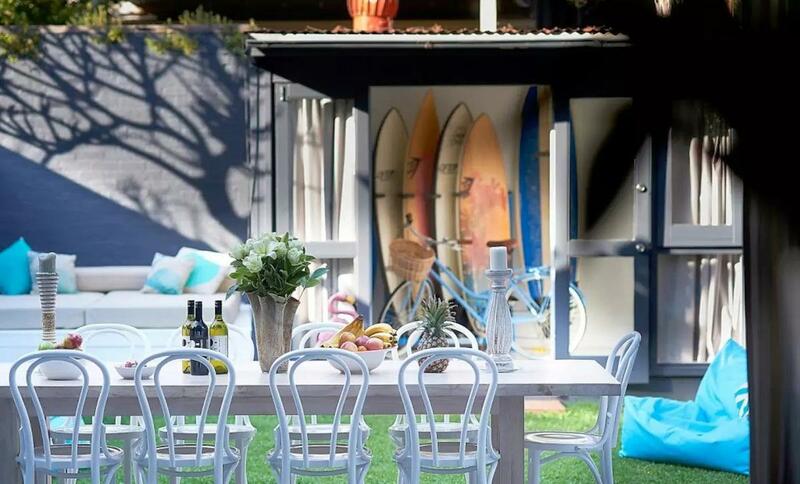 The beautifully maintained gardens span three levels, with two stunning Frangipani trees overlooking the lush lawn, border plantings and contemporary feature pots. 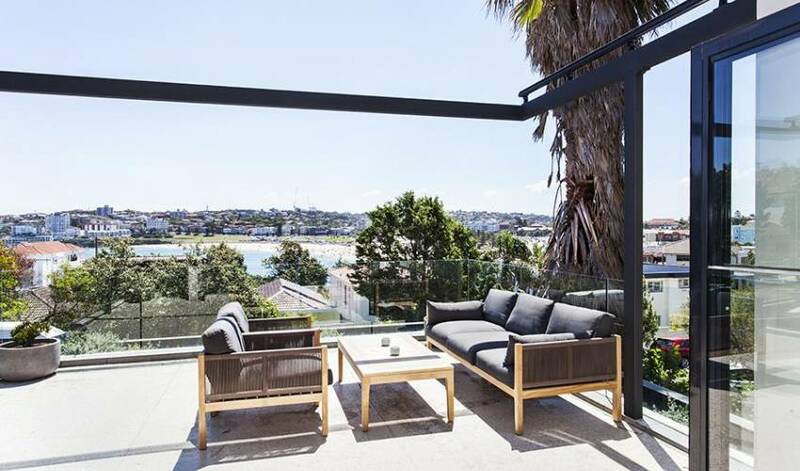 At night, outdoor lighting frames the garden, while from the front, the views of Bondi are almost as spectacular at night as they are during the day. 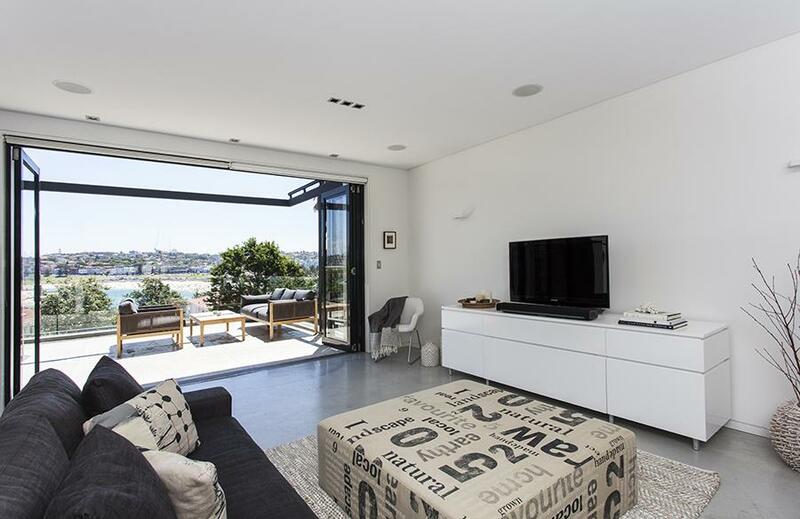 A half level down, the second lounge area has two large Belgian linen bespoke sofas, a large plasma television with Foxtel/Netflix and glass bi-fold doors that open onto the large front deck and lounge area. 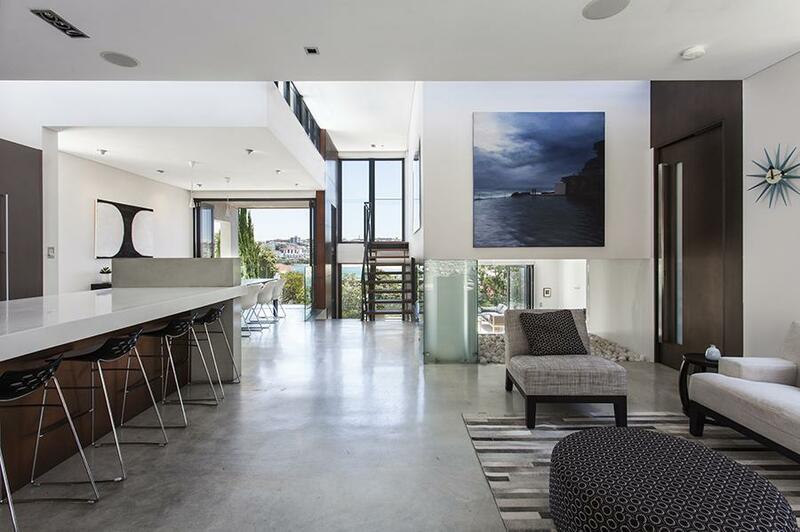 As with all areas of this luxury home, this space has been designed to accommodate entertainment and relaxation. The top level contains the master bedroom, ensuite bathroom and walk-in robe. 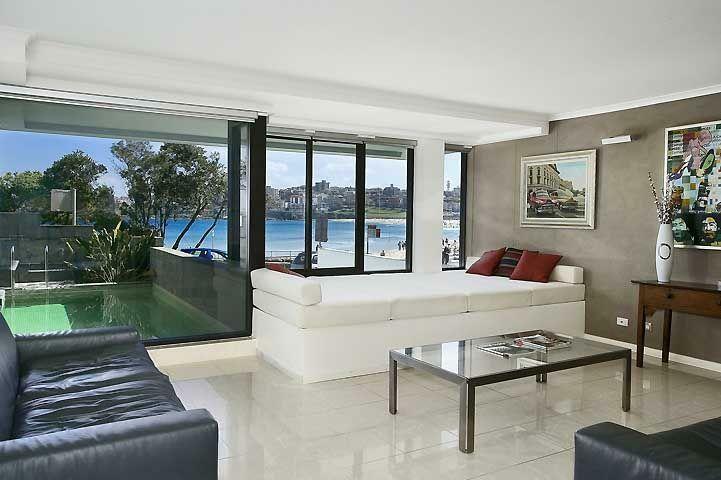 Bi-fold glass doors open onto a Juliet balcony with spectacular views of Bondi beach from the king size bed. The ensuite bathroom features marble floors, glass shower cubicle with double showerheads, twin basins and views of the beach. 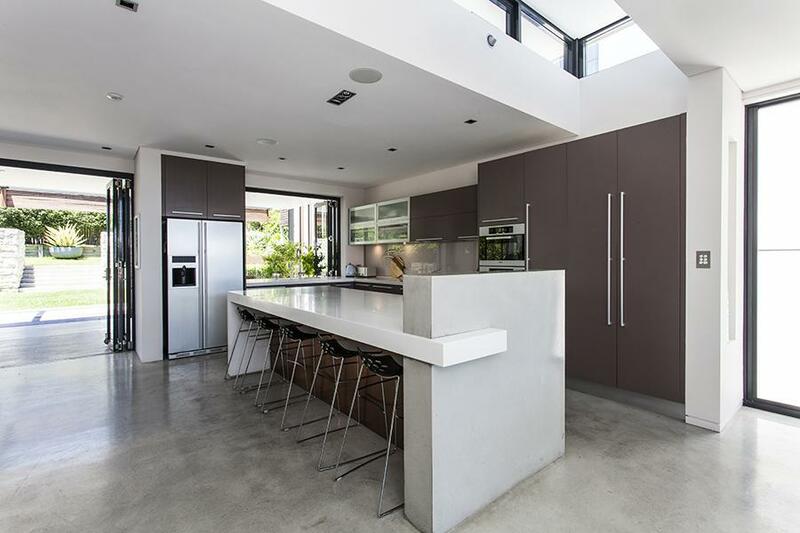 Entry is via a secure courtyard (buzzer intercom entry) featuring a reflection pool and contemporary garden. 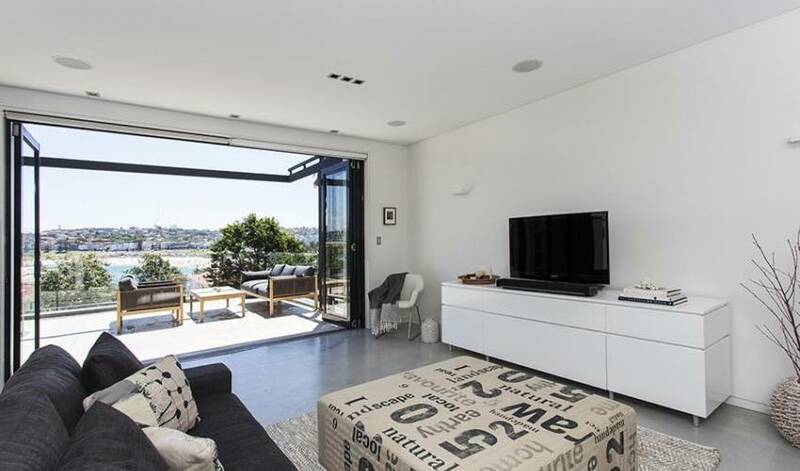 The entry level features a media room (large plasma TV, Foxtel Pay TV, Netflix and Wii console) with luxurious sofas for lounging and movie viewing. This room can also be converted into a fifth bedroom. The next level houses three light-filled bedrooms and an office. 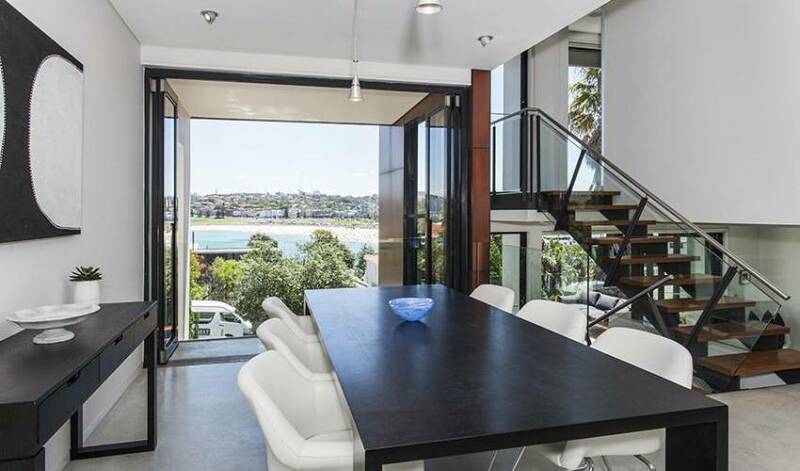 The first bedroom features a Juliet balcony with bi-fold glass doors opening onto the entry courtyard with glimpses of the beach, and an ensuite bathroom (basin, toilet, shower). The second bedroom has two single beds (can be converted to a Queen upon request), and direct access to the garden and outdoor shower area via glass doors. The third bedroom has a king single bed and trundle (can be converted to Queen upon request) and direct access to the garden and outdoors shower area via glass doors. The second and third bedrooms share the third bathroom, which includes both a shower and bath. All beds are made up with hotel quality sheets and bathrooms have luxurious towels for your use. Step outside and you can take advantage of the convenience of this exclusive location. 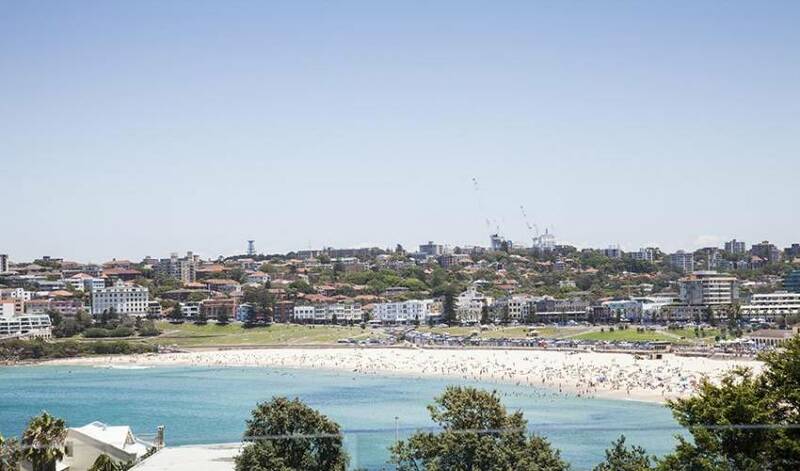 Bondi Beach is accessed via a park below the property and it is but a few minutes walk to the sand. 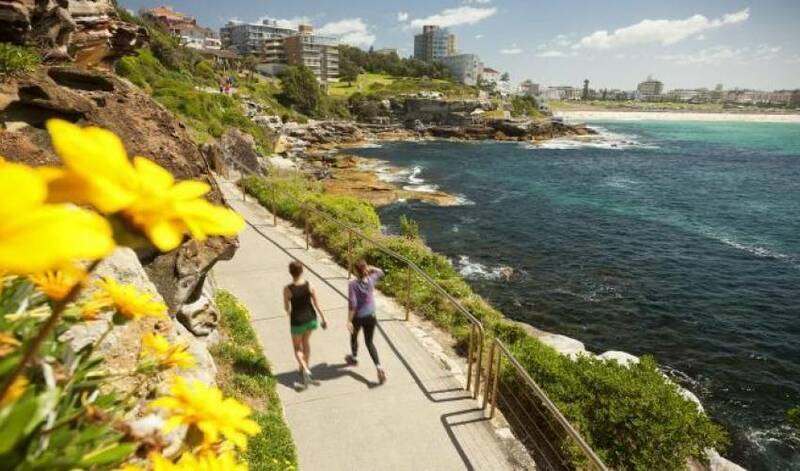 At the end of the street are a wide range of food and convenience outlets, as well as a bus station should you want to tour Sydney and surrounds. 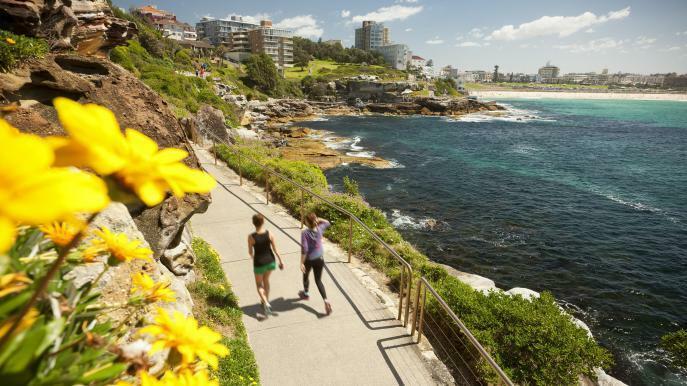 A short walk along the beach promenade and you are in central Bondi, which boasts a diverse range of quality restaurants, bars, and shopping outlets. All beds are made up with hotel quality sheets and luxurious towels are provided for your stay. A departure cleaning charge and linen set up applies to all bookings. Serviced cleaning is available on request. A bond is required for the duration of your stay. This fully furnished property includes quality amenities and every convenience to ensure you enjoy a comfortable home away from home. No smoking, parties or pets.